If you go to a convention, a meet & greet, a seminar, networking event or any other physical meeting with companies, do the booth representatives magically talk from a megaphone while hiding behind a huge logo? Hopefully no. But rather they have name badges on and are pressing palms with the folks. They’re answering questions and chatting with everyone they can, even the competition. To put in other words, they are being human. So if this is how representatives act while on location, why are so many brands sitting faceless on a podium when it comes to Twitter, Facebook, Blogs and other social network websites? It makes no sense. Besides having extremely tasty beer and an entertaining show on TV, Dogfish Head Brewery is the essence of a solid social media strategy. They interact with their fans and tweet nothing but valuable information. Craig does a wonderful job in promoting the SyFy brand on twitter. 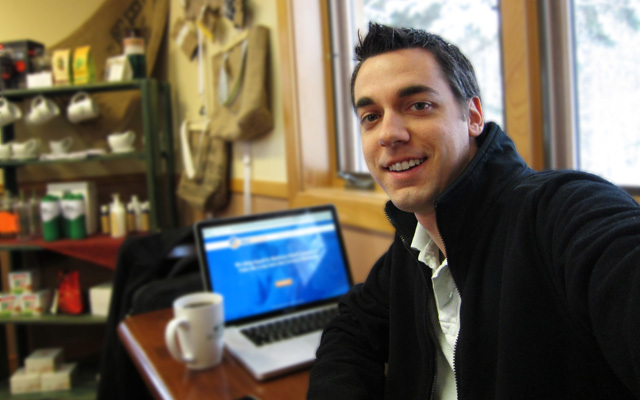 He frequently has Q&A sessions as well as many fun contests and giveaways. If you have a Blackberry (& a Twitter account) and you are not following these guys, you’re missing out. They are on top of the ball when it comes to customer service and fan interaction. Have a question or concern about your Blackberry? Tweet it to them and you’ll quickly have your answer. There’s not much to say other than the folks at Foursquare cannot shut up on Twitter. But I say this in a lovingly good way. They regularly chat with their followers. Drs. Foster & Smith is a nationwide pet supply company located in my neck of the woods. Ellen does a wonderful job posting valuable tips for pet care as well as continually chatting with pet owners on Twitter. I can’t count how many times I’ve chatted with Frank and Stacey over at PR Web. They understand the power of keeping in contact with their customers. Oli at Unbounce does a great job chatting with anyone who will listen. He has a strong understanding of the power of Twitter. Next, let’s look at some strong brands on Facebook. While not exactly the same as Twitter communication-wise, Facebook can seriously boost a brand’s level of interaction with their fans. 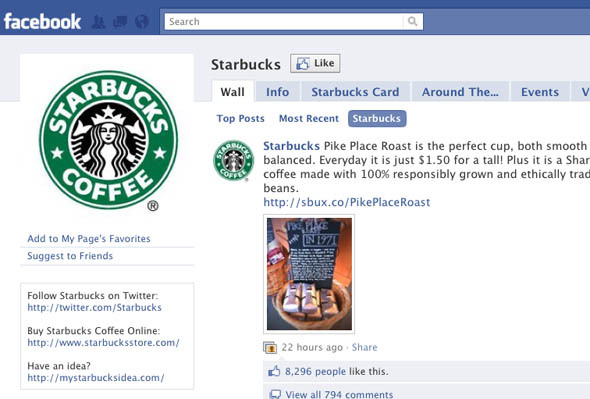 Besides the new Starbucks logo kerfuffle, the company is doing extremely well with their social media campaigns. And they have over 19 million fans to support this. I’ve never had Nutella, but from what I hear it’s like crack in a jar. And their Facebook presence reassures this. Their constant insightful posts and fan ravings definitely creates a sense of community, which a few short years ago would be unheard of: a community of tasty hazelnut spread fanatics. 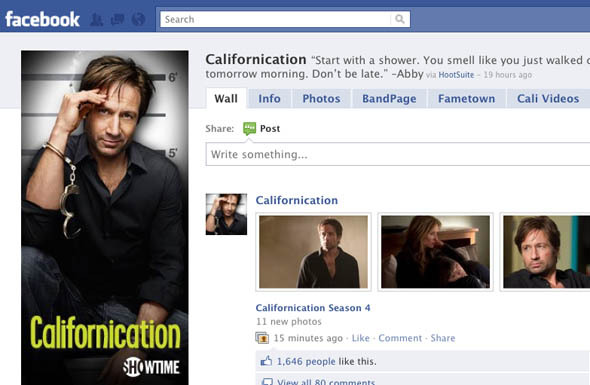 I love Showtime’s hit show Californication. While not exactly a company as the post title suggests, the show is still a very powerful brand on Facebook. They often post behind-the-scenes videos and pictures as well as upcoming news. It allows for us fans to truly feel engaged in the show outside of the few short minutes we have a week with it on TV. Along the lines of Nutella, in years gone by, who could have imagined a soap company creating a community around its products? 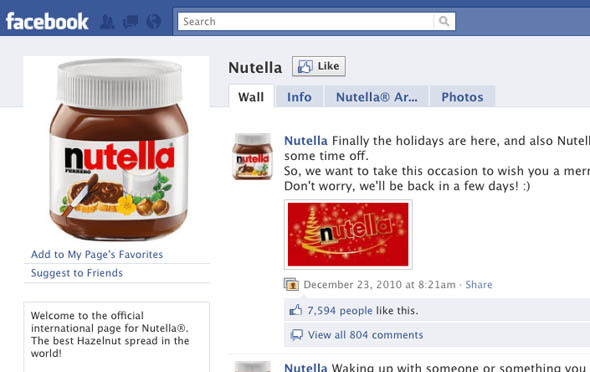 But yet, they have found a way to become one of the more popular brands on Facebook with over 300,000 fans. 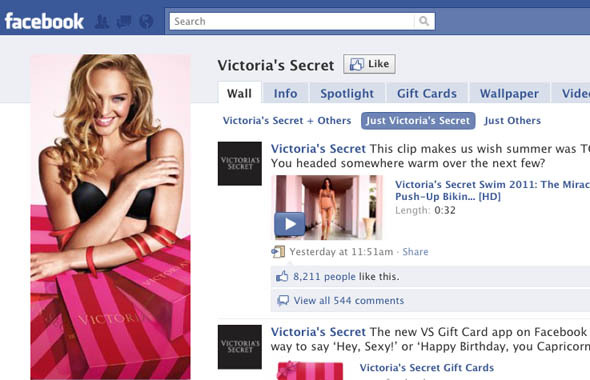 I love Victoria’s Secret because of… ehem… um… their marketing ability, that’s it. They have great marketing. The dead simple camera has taken the world by storm. And so has their social media strategy. Their Facebook page is filled with valuable posts and many provoking ideas to get out and record stuff. 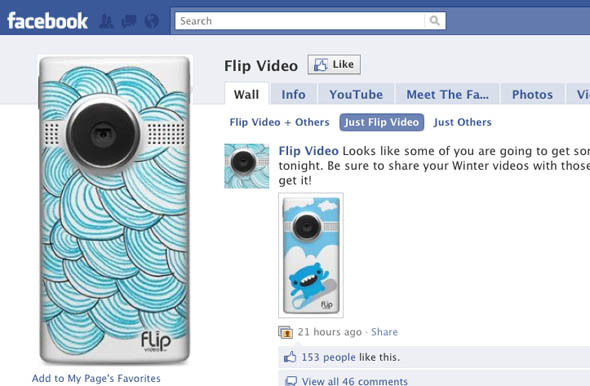 I would go as far as saying that if Flip didn’t have their strong social media campaign we wouldn’t know the camera existed. 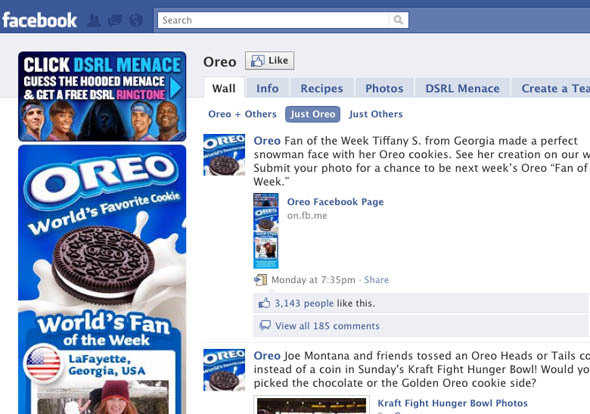 I was sold on Oreo’s marketing ability when the official “coin” of the Kraft Fights Hunger Bowl was an Oreo. But from a social media standpoint, it’s hard to argue against their dominant presence. And while Oreo has always had a strong offline following, their 16,000,000 Facebook fans reassures us that Oreo must be doing something right. I hope you see the trend from these brands. Social media is supposed to be social. No one wants to support a faceless organization. 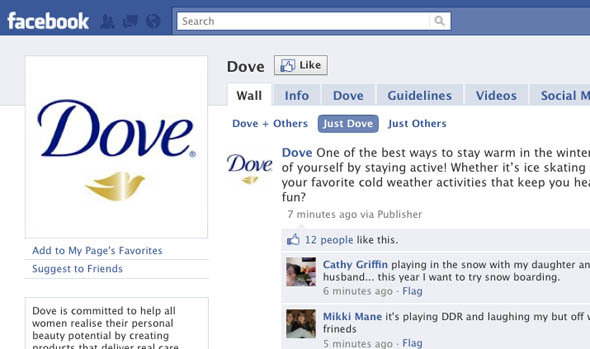 In the world of Social Media, raving fans will only rally for the brands they can interact with. What are you doing to connect with your audience?